One Loudoun Downtown Fest this Saturday! Check out the Downtown Fest this Saturday from 2-6pm One Loudoun. Kravitz Orthodontics is excited to sponsor. There will be live music and free food and drink samples. Stop by and check out our booth! Mercer Middle's "High School Musical"
Mercer Drama Club will be presenting, "High School Musical," on Friday, 4/25, at 7:00 pm and on Saturday, 4/26, at 2:00 pm and 7:00 pm. Tickets for the production of High School Musical (with the special guests, the Improvinators) will be on sale in the cafeteria Tuesday, Wednesday, and Thursday, during all lunches. They pre-sale price is $3/ticket. Prices go up to $5/ticket at the door. Tickets are general admission and limited, so don't miss out! Wishing all Fairfax and Loudoun County Public School students an awesome spring break! Happy first day of Spring! Loving the sunshine, we hope everyone else is too!!! Kravitz Orthodontics is proud to sponsor Hutchinson Farm Elementary's BINGO Night this Friday! Kravitz is proud to sponsor Little River Elementary's International Night & Aldie Elementary's Talent Show this weekend! The team at Kravitz Orthodontics is wishing you a very happy Valentine's Day! Wishing Arcola Elementary a fabulous Arcola has Heart Week! KO is proud to be sponsor Hutchinson Farm Elementary's Dance, Arcola & Little River Elementary's Around the World Night & Aldie Elementary's Talent Show this month! Take your kids to work day here at KO! Kravitz Orthodontics is proud to sponsor Pinebrook Elementary's Family Fitness Night Friday the 24th! Happy New Year from the team at Kravitz Orthodontics, make it a great 2014! KO is a proud sponsor of Liberty Elementary School's Jingle Bell Jog, Middleburg Elementary's Breakfast with Santa, & Hutchinson Farm's Winter Fest all tomorrow! Christmas in Middleburg this Weekend! KO is excited to be a part of Christmas in Middleburg this weekend! December 7th will be a busy day for Kravitz Orthodontics! Kravitz is proud to be a part of Liberty Elementary's Jingle Jog, Middleburg's Breakfast with Santa, Aldie Elementary School's Parade & Hutchinson Farm Elementary's Winter Fest all on Saturday December 7th! KO is looking forward to sponsoring Arcola Elementary School's Bingo Night, J. Michael Lunsford Middle School Official Family Fun Night and White Oaks Elementary Bingo Night this Friday Night!! Register for the 2013 Loudoun County Run/Walk 4 the Homeless & Disadvantaged! Get some exercise and come out with some of Kravitz Orthodontics staff and support a great cause at the 5k Run/Walk for the Homeless in Ashburn! Tomorrow is the Last Day to get your Candy In!!! 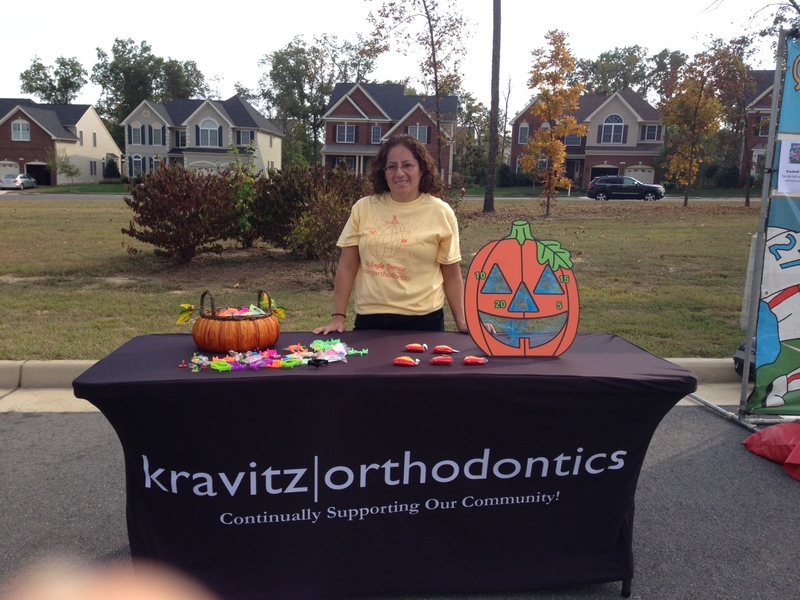 Get you extra candy to Kravitz Orthodontics! The last day for the candy buy back is tomorrow. If you attend Arcola, Aldie, Buffalo Trail, Hutchinson Farm, Liberty, Little River, Middleburg, Moorefield Station, Pinebrook, Lunsford or Mercer get your candy in! we will be here until 7pm today and from 9am-2pm tomorrow. For every pound you donate earn $1 for your school. Happy Halloween from Team KO! Halloween Buy Back! Earn $$$ for your Candy! Dr. Kravitz and Team Kravitz Orthodontics are excited to host their 4th annual Halloween Candy Buy Back day for Arcola, Aldie, Buffalo Trail, Hutchinson Farm, Liberty, Little River, Middleburg, Moorefield Station, Pinebrook, Lunsford and Mercer! Come into our office on Tuesday, November 5th from 9 am-2 pm with your leftover Halloween candy and earn money for your school's PTA. Each school will receive $1 per pound of candy, up to 5 pounds per child. Bring your family, friends and neighbors to earn the most money! Pinebrook Elementary School is hosting a Fall Festival! To get into the Fall spirit visit Pinebrook Elementary this Saturday October 26th 5pm-8pm. There will be tons of fun activities including outdoor movies, put a staff member in the jail, food & drinks, a moon bounce, and many more!! Team Kravitz had a great time seeing all of the students, parents and staff at Liberty Elementary School this weekend! Kids got prizes from our table and enjoyed playing games. Thank you to Liberty Elementary School for having us! We are proud to sponsor this event as a Big Eagle Sponsor each and every year. GO EAGLES! School is OUT! Let's Party! Dr. Kravitz is jokingly referred to as the mayor of South Riding because of his large participation in the community. To celebrate the end of the school year, we teamed up with South Riding Proprietary and threw not one, not two, but THREE pool parties! Pizza, music, sunglasses and lots of fun were provided! South Riding really knows how to party! Shout out to our patients who showed us how to do Gangham Style-you rock! Splish, Splash...It's Time for Summer!! Team KO attended the ribbon cutting ceremony for the grand opening of South Riding's new splash pool! This fun pool area is designed for younger kids with a pirate ship, water slide, water toys and of course, lounging areas for mom and dad. I don't know about you but I'm looking forward to cooling off by the pool on a hot summer day! Thank you to the South Riding Town Hall Association for inviting us to the event. Despite the weather, we had a blast! *Tap, tap, tap...Is This Thing On?" CALLING ALL FREEDOM EAGLES! Kravitz Orthodontics is proud to announce that we are the major sponsor for Freedom High School athletic program! Dr. Kravitz has generously sponsored the construction of the brand new press boxes on the baseball and softball fields at Freedom Field. Be sure to look for our banners throughout the complex and give a shout out to Dr. K! Team KO will be at the dedication ceremony and senior presentation on Wednesday, May 22nd at 7 pm to award a male and female senior student with athletic scholarships! Good luck to those who applied! It's Time for 5th Grade Promotions!! Wow, it's hard to believe that the 2012-2013 school year is almost at an end. It's even harder to believe that the 5th graders are going to be in the middle schools!! We love that the PTA's from Little River, Buffalo Trail, Liberty, Pinebrook, Aldie, Hutchison Farm, and Arcola have organized 5th grade promotion celebrations for these amazing students as they prepare to move on up to the middle schools. It's our pleasure to be a sponsor of the celebrations and be able to be a part of the day. Thank you for thinking of us! Kravitz Orthodontics is Ready for the Soccer Season!! Kravitz Orthodontics is the official sponsor for the U11 Boys Avalanche, U9 United Boys and Loudoun U9 Girls White soccer teams!! We are so excited for this season and wish these teams the best of luck! Shout out to our patients Andrew Heer, Greyson Stiles and Avery Kerns who are team members of these groups of superstars!! Kravitz Orthodontics Sponsors Buffalo Trail Elementary's Ice Cream Social and Dance! On Friday, April 12th, Buffalo Trail Elementary PTA will be hosting an ice cream social and dance for students and their families. Kravitz Orthodontics is proud to be a sponsor for this event each and every year! Students will receive a free ice cream sundae when they attend until 8 pm. We hope you have a fun time! 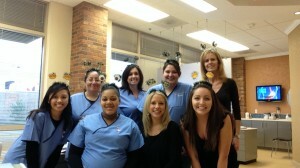 Kravitz Orthodontics Heads to J. Michael Lunsford Middle School for a Big Night Out! Kravitz Orthodontics is proud to be a titanium sponsor for J. Michael Lunsford Middle School's Big Night Out hosted by their incredible PTA! Team KO was there to enjoy an Italian dinner and a show performed by students and staff. We LOVED the "Got Water?" synchronized swimming act by the faculty and the Lunsford Lion-they did a FANTASTIC job! Kravitz Orthodontics is the Official Sponsor of Mercer Madness at Mercer Middle School! Team Kravitz is pumped up and ready to watch Mercer Middle School shoot some hoops in this 3 on 3 basketball tournament! Keep an eye out for TEAM KO as we welcome everyone into the gym with Dr. Kravitz and Margaret announcing the game! The game will be held at Mercer Middle School from 6-9 pm on Friday, March 15th. GO MOUNTAIN LIONS! Team KO Takes the Pledge to Knockout Bullying with Lunsford Middle School Students! This awesome group of students from J. Michael Lunsford Middle School in South Riding, Virginia is here at our office today with a pledge for all to sign to stop bullying in our schools! I could not think of a more creative idea, and we LOVE the shirts they made! The slips of colorful paper signed by pledgers will be made into a link chain that represents the unity of our community. Stop by our office and take the pledge!! Team Kravitz is here to help! Team Kravitz Supports Our Moms! 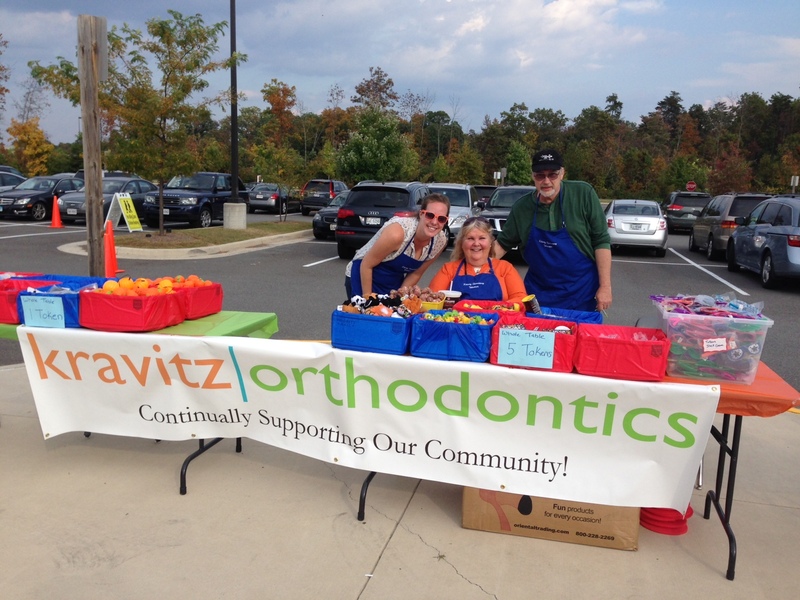 Kravitz Orthodontics continually supports our community! Our team loves connecting with the groups of moms that come into our office and chat while sipping on a cup of our delicious cappuccino. We are proud to sponsor Pink Polka Dot Productions and Macaroni Kid. If you haven't heard of these two groups, you're missing out! Pink Polka Dot Productions is an organization of moms that have a mission to inspire, motivate and encourage each other as they go through the day-to-days of motherhood. The next conference is at the Gaylord National Resort on April 20, 2013, the keynote speaker is Deborah Phelps-mom of Olympic gold medalist, Michael Phelps! Macaroni Kid is a nationwide blog written by publisher moms in local areas dedicated to write about family-friendly events happening in the community each week. We love to read about crafts to do with kids, recipes to cook with children in the kitchen and favorite places to go as a family on vacation. Help us support these wonderful moms and follow their blogs! We'd Like to Take a Moment to Thank YOU! Our office is incredibly honored to be such a big part of our community. Receiving handwritten cards from administrators of our local schools is something that we cherish. Thank YOU for including us as part of your families. Kravitz Orthodontics is Happy to Sponsor Little River Elementary's Book Club! Kravitz Orthodontics is a proud sponsor of Little River Elementary's book club! The book club is split into three groups: kindergarten and first grade, second and third grade, as well as fourth and fifth grades. The groups will read one book each month including some of our favorite titles: The Stinky Cheese Man by Jon Scieszka and Hoot by Carl Hiaasen. Dr. Kravitz has provided all materials and books for this wonderful group of staff and students. Our team truly believes in the importance of extra curricular activities and are so thrilled to be a part of the Little River family! Continually supporting our community! John Champe High School presents Casino Knights! Kravitz Orthodontics is proud to sponsor John Champe High School's "Casino Knight" event that supports the incredible athletic program that the school offers. The event will be held on Saturday, Feb 23rd at International Country Club in Fairfax, VA from 7-11 pm. Tickets are available online at www.champesports.com or at the athletic office. Show your support and enjoy a fun night out too! Team Kravitz joins Kelly's Bootcamp Challenge in Chantilly! During the winter months, it's always a challenge to get the right amount of exercise. Our friend Kelly, who runs Kelly's Bootcamp in Chantilly, challenged Team Kravitz to an 8 week program competing against other teams in the bootcamp. We accept the challenge and look forward to taking over her bootcamp class each week! We are extremely proud of a patient of ours, who has created a video for her Girl Scout project, in the form of an anti-bullying campaign. Please help her out and vote for her video, entitled "The Cliques", here. The winner will have their video professionally produced-we believe that she truly deserves to win! Keep Calm and Drink Hot Cocoa! With the holidays quickly approaching, it seems difficult to tackle that long shopping list for our family and friends. This weekend, the Wellness Connection hosted a holiday market in the Stone Ridge community for shopping and even pictures with Santa! Vendors, who all live in the local area, sold handmade gifts, jewerly, greenery, foods, etc. Team Kravitz handed out hot cocoa and toys for kids who attended the market-it was a hit! The Wellness Connection also hosts a farmers market every Saturday, April through October so be sure to check their website in the Spring for more information! With Thanksgiving almost upon us, it’s a great time to ask ourselves what we’re thankful for. With our friends and family around us, we celebrate the blessings given to us in the past year. Our staff thought we’d ask: What are you thankful for this holiday season? Do you have any Thanksgiving wishes or recipes you would like to share? Our entire team would like to wish you a safe and happy Thanksgiving. It’s a big food holiday, so be careful what you eat with those braces! If you have any stories or photos to share with us, we’d encourage you to send them along or post them below or on our Facebook page! 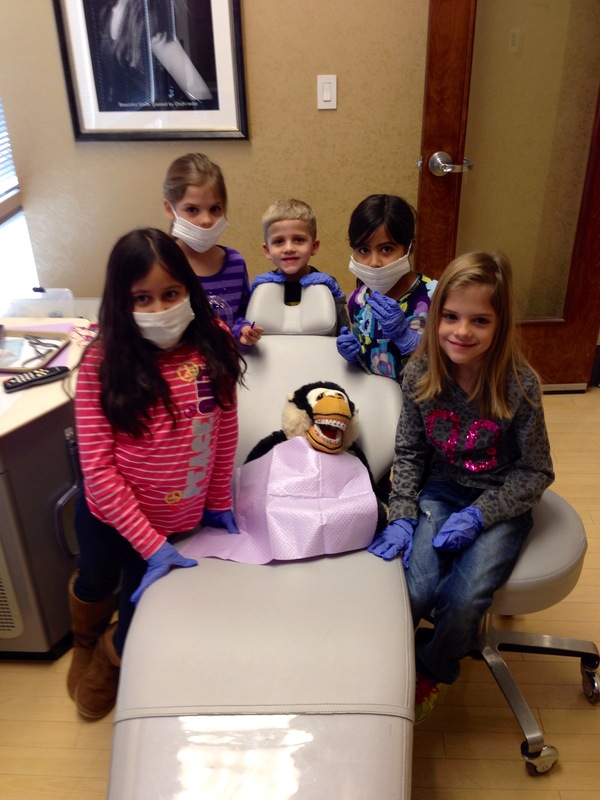 Welcome to Kravitz Orthodontics! When you visit our office, you will immediately see a unique atmosphere. Our friendly front office staff will welcome you with a warm smile and "hello! ", you will meet our kind back office staff as you begin your appointment and even catch up with Dr. Kravitz as he sits down to work on your beautiful smile. We take pride in what we do here at our office, making sure that the care we provide to you is the highest of quality. If you live in Northern Virginia, it is quite possible that you have heard of the fantastic work that Dr. Kravitz does or even how involved our team is within the community. We have created this blog just for YOU-our patients, our friends. This blog will be your access to what exactly we do in the community that makes us so great! We ask that if you have children who attend any of the schools featured, or if you attend any of the events that we sponsor, that you share your fun experiences with us! We'd love to hear from you! Kravitz Orthodontics is continually supporting our community and our team looks forward to seeing you soon! Dr. Kravitz and the entire team were simply "amazing!" They made me feel so special, like I was their only...and most important patient. My smile is beautiful, I couldn't be any happier! I have referred all of my friends and family to Dr. Kravitz. He is truly one of a kind. He genuinely cares about his patients and their results. Thank you again! You have given me a great reason to smile!! Dr. Kravitz is one of the best doctors. He not only cares about your teeth but the whole person. I've never seen a doctor who tells their patients that they come first. I've had braces for TMJ and have completed my "program" and my daughter is currently under his care for the same thing. I would not go to any other orthodontist. His staff is extremely friendly and greatly appreciate them for the great work that they do.